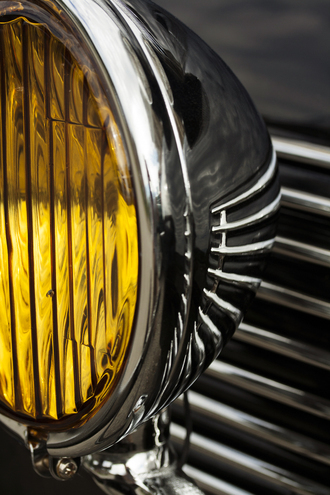 An amber running light with reflections of the grille work. Taken at the Newtown Car Show. Digitally captured with a Canon EOS camera.